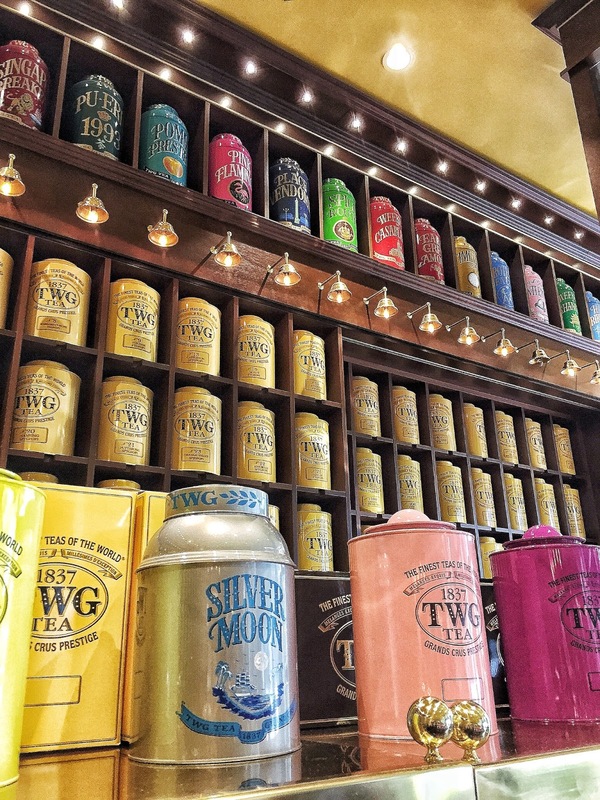 I recently stopped by the TWG Tea Salon and Boutique in Vancouver. 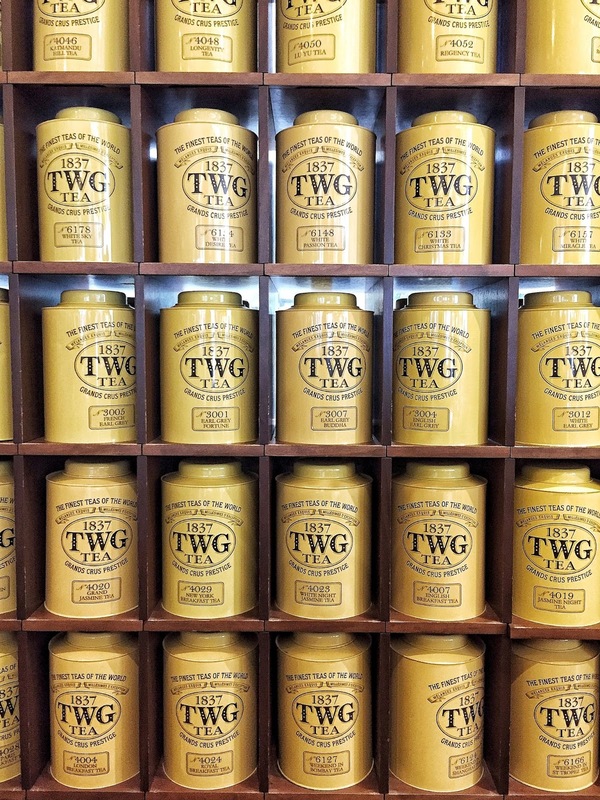 While I'd been by the luxury tea salon for its opening, and have walked by several times since, this was my first time taking tea with the TWG team (sorry, I couldn't pass up an opportunity to use alliteration!). 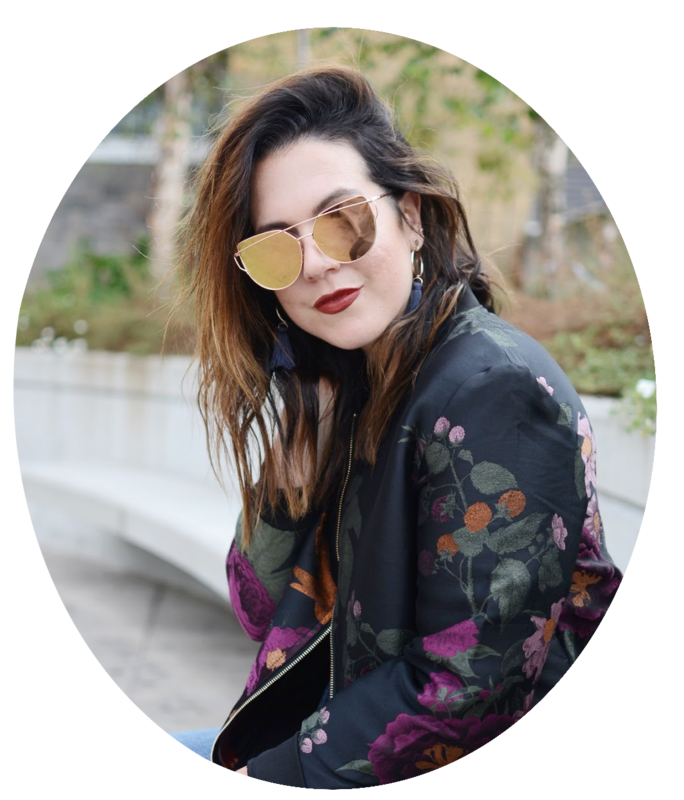 The decor of the salon is exquisite, with brass finishes, plush upholstered chairs, white table linens and bright windows that allow for natural light to stream in — yes, even on a rainy day. 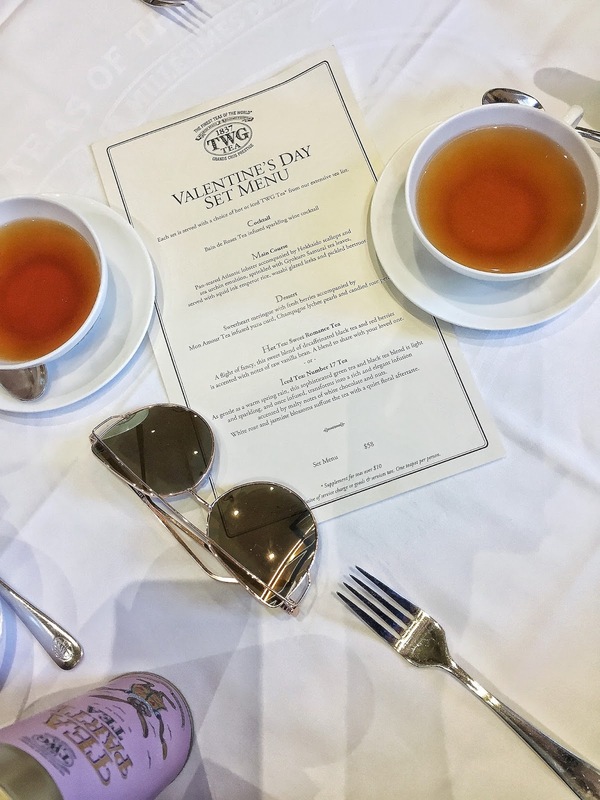 I brought my mom along to the afternoon tea, which was meant to be a preview of the Valentine's Day offering, but due to my lengthy list of food allergies, the salon's team were able to accommodate with a Galentine's Day-appropriate Chic Tea service. 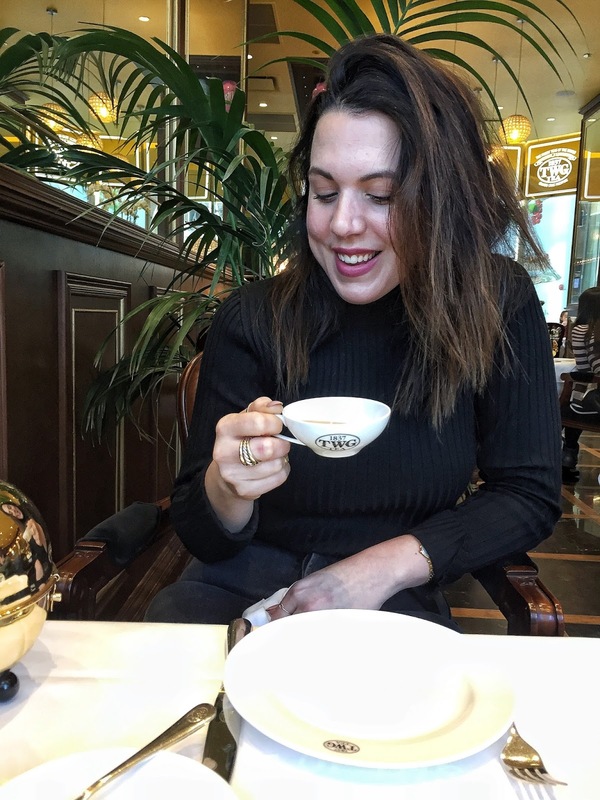 After we both selected our tea choice (my mom opted for the bestselling French Earl Grey, while I rather lazily asked the server to choose something "with coconut" in it for me), we were left to sit back, sip our tea and enjoy the surroundings. We opted for a dessert from the offered tray, choosing the tangy lemon tart with a crisp pastry crust. When our tiered trays of tea-infused goodies arrived, we sampled our way through the offering. 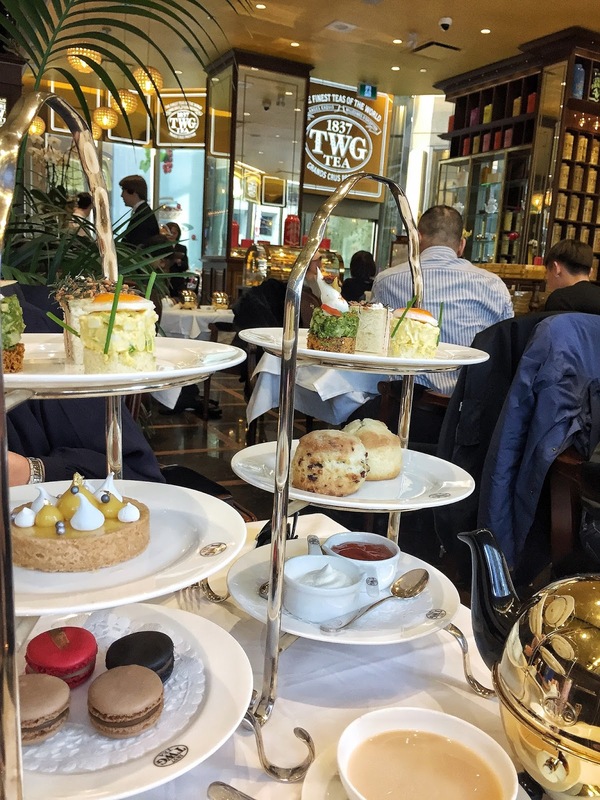 The petite sandwiches were fresh and full of flavour — but it was the scones, marmalade and fresh whipped cream that I will dream about ... probably for the rest of my life. 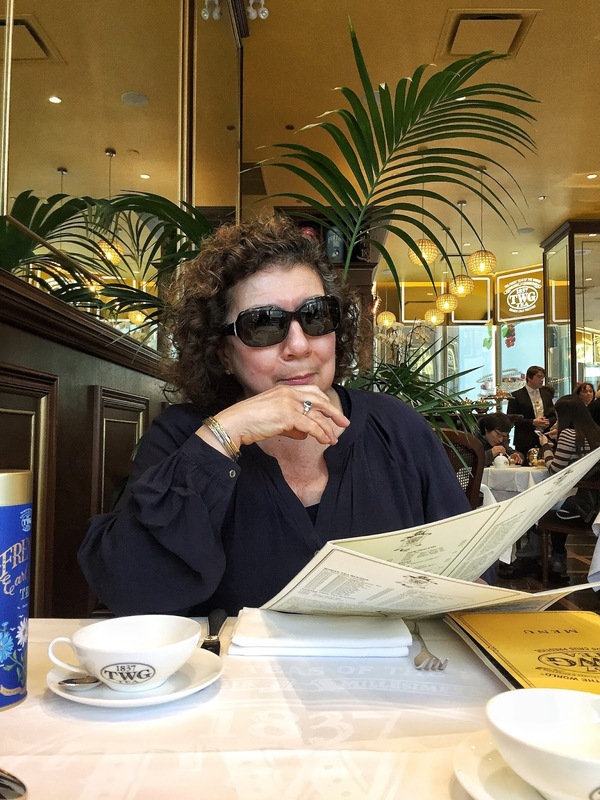 Overall, the food was fantastic, the tea was superb and the service was exceptional. 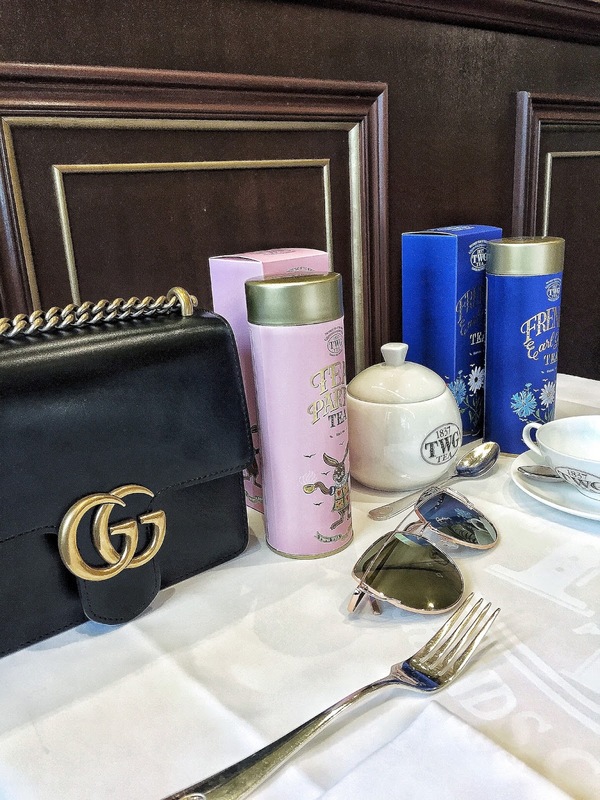 So, next time I'm in the mood for a classic high tea experience, I know right where I'll be headed.